A New Composite Global Terrorism Threat to Western Societies from Pakistan? First published as a working paper by the Elcano Royal Institute. On 19 January 2008, between the hours of 00:40 and 05:00, 14 individuals were arrested in Barcelona, Spain’s second‐largest city, as a result of a counterterrorism operation initiated two days before and intended to thwart what was evaluated by the state security agencies to be a suicide bombing plot against the local subway transportation system. Eleven of the arrests took place inside two Islamic places of worship and three others were conducted in two private domiciles, all located in and around a quarter of Barcelona’s old town popularly known as the Raval. Actually, the operation had been initiated in these surroundings by the Centro Nacional de Inteligencia (CNI, National Intelligence Center) on 17 January. Nevertheless, it was not for the Spanish intelligence services but for the Guardia Civil (GC, Civil Guard), one of the two police agencies endowed with antiterrorism competences nationwide, to subsequently apprehend the suspects. As mandatory, these arrests received prior approval from one of the six central investigative judges at the Audiencia Nacional (AN, National Court), which is the special criminal jurisdiction that investigates and tries terrorist offenses throughout the country, based in Madrid. Among those arrested were 12 persons of Pakistani origin –all but one foreigners in Spain, the other being a naturalized Spaniard— and two Indian nationals. They were all subjected to incommunicado detention for five days beginning 19 January —the maximum period allowed by Spanish legal provisions— and transferred to Madrid for interrogation at the GC headquarters. Two of them, a Pakistani and an Indian, were released on 22 January by the GC and two others, both of them Pakistanis, were freed without charges by the overseer investigative judge on 23 January. Yet the magistrate, at the same time, decided to indict the remaining 10 individuals and ordered their unconditional provisional imprisonment. Some weeks later, on 14 March, an additional suspect, another Pakistani national who was also in Barcelona with the rest of the group but left the city hours before the police intervened, was finally detained in Breda, The Netherlands. He was then handed over by the Dutch to the Spanish authorities on 13 August and was prosecuted as well. Thus, a total of 11 individuals were formally accused on 3 June 2008 in connection with the plot to carry out suicide bombing attacks in the Barcelona metro, a train system that runs underground through the city. Nearly two years later, on 11 December 2009, all 11 defendants received convictions. The sentence established as proved facts, among other issues, that seven of these individuals had become radicalized in their ideology and that this “led them to take the decision to carry out a violent action, using explosives against the Barcelona metro, to cause a large number of victims”. Judges at the Audiencia Nacional also asserted not only that the convicts had connections outside Spain, mentioning in particular links with a Pakistani group linked to Al Qaeda and headed by the Pakistani Taliban leader Baitullah Mehsud –who was killed by a United States drone strike in South Waziristan on August 2009‐‐, but also that the existente of such contacts “allowed other people to be sent to Barcelona from different countries, members of the same organization, for them to take part in the action, even as suicide terrorists, if necessary”, referring to at least four other individuals. Maroof Ahmed Mirza, as the terrorist‐cell ringleader, was sentenced to 10 and a half years in jail. Mohammad Ayub Elahi Bibi, Hafeez Ahmed, Mohamed Tarik, Roshan Jamal Khan, Imram Cheema, Mohammed Shoaib, Mehmooh Khalid and Aqueel Ur Rahmnan Abassi were all convicted and sentenced to eight and a half years for belonging to a terrorist organization. Two others, Qadeer Malik and Shaib Iqbal were also found guilty of possessing explosives, receiving 14 years and six months each. But what exactly happened in Barcelona on January 2008 or was being prepared to happen, and how can we asses both the characteristics and scope of the foiled terrorist plot? Who are the individuals actually convicted in this case and how did they come to constitute a terrorist cell in the city? What kind of connections did these individuals or the cell as a whole have with terrorist actors abroad, as stated in the court sentence, more concretely in Pakistan? A proper answer to these three questions, elucidating also issues of leadership and strategy behind the Barcelona thwarted suicide attacks, based on information and data contained in the official judicial documents of this case at the National Court in Spain, should provide us with enough substantive knowledge on an important incident related to jihadist terrorism. But also with sound evidence upon which to reflect on the dynamics of the global terrorism threat in Western Europe, as it was evolving more than six years after the 9/11 attacks in New York and Washington, nearly four years after the 2004 Madrid commuter‐train blasts and two and a half years after the July 2005 series of suicide bombings in London. It all started when, on 17 January 2008 in the afternoon, the Centro Nacional de Inteligencia received an urgent communication from its French counterpart. According to the communication, based on information provided by what was presented as a most credible source, suicide attacks targeting Barcelona’s mass transit system were in their final stages of preparation and could even be the first of a series of similar incidents in other Western European countries. The highly sensitive and trusted source was a Pakistani national, who used to reside in Paris and had moved from there to Barcelona on 16 January with concrete instructions to contact someone referred to as Maulana Ashraf, whose real name was the already mentioned Maroof Ahmed Mirza, the cell ringleader, more precisely at the Tariq ben Ziyad mosque in the old town of the Mediterranean coastal city where the latter acted as second Imam. He expected to join other members of his same organization for the purpose of perpetrating the bombings. But he also happened to be a collaborator of the French intelligence services and acted as their informant on this occasion, once aware of what was being prepared in Barcelona, its timing, and his expected role in the planned attacks. Measures were immediately adopted to identify the suspects and locate their whereabouts in order to effectively neutralize the threat. Soon afterwards, CNI agents placed some of the presumed members of the cell under close surveillance. On 17 January at 10:00pm, a CNI agent recovered from a street garbage container a disposal bag left there minutes before by one of the suspects, namely Qadeer Malik, who was being followed and who resided nearby with other integrants of the same purported cell. An initial examination of the bag’s contents yielded a number of elements likely to be used in the manufacture of explosive devices, including manipulated clock mechanisms, batteries, electric cables, as many as eight laptop connectors, latex gloves, a variety of hand tools, and pasteboard cylinders with residues of a powdery substance. This find seemed to validate the information transmitted by French intelligence. On 18 January at around 6:00pm, eight of the suspected terrorists, carrying backpacks and handbags, were spotted moving with directed circumspection from Tarek ben Ziyad mosque –where the protected witness said they previously prayed with jihad and martyrdom songs‐‐ to another location of Barcelona’s old town. It was quickly confirmed by the security agencies that the suspects were heading towards the same address at which two other individuals had also arrived carrying similar bundles. As a result of these combined developments, and on the basis of all the background information provided by the French security services, the threat of a suicide attack or a series of suicide attacks on Barcelona’s public transport system, most likely the city’s underground, was assessed by the CNI as critical, and the decision made to coordinate with the Guardia Civil and intervene as soon as special operations personnel from the latter police agency could deploy to the scene and formal judicial authorization be obtained. This authorization was granted by the same corresponding investigative judge referred above, as he became convinced, on the basis of a report from the GC and the details provided by the CNI at a meeting held at the Audiencia Nacional on the evening of 18 January, that terrorist bombings in Barcelona were probably imminent and that action was urgent in order to thwart them. Actually, he then wrote, in his formal decision to approve the police operation, that the terrorist cell “was apparently very close to achieving full technical capability in terms of explosive devices,” in order “to carry out several suicide terrorist attacks between January 18 and 20 against means of public transport in Barcelona”. The central unit of the GC charged with preventing and fighting international terrorism had been urgently briefed by the CNI at around 1:00pm that same day, 18 January, on the information provided by the French intelligence and on their own subsequent findings while engaged in the field surveillance of suspects in Barcelona. The GC finally initiated its own entry‐and‐search intervention at around 11:50pm, focusing on six premises located in and around the area of the Raval, including three used as private homes, two Islamic places of worship or local mosques and a small bakery shop. As already indicated, the operation concluded with the arrest of 14 individuals in four different though neighbouring locations. The Pakistani informant who alerted the French security services of the ongoing plot was indeed with some of the individuals captured but not formally arrested as he became a protected witness under specific provisions of Spanish legislation. As from that moment on, his identity has been kept in secret and he is referred to simply as F‐1 in the Audiencia Nacional’s criminal proceedings of the case. The protected witness benefitted from impunity legally granted in this case because, in accordance with domestic legal requirements, he voluntary helped to disrupt the bombing plot being prepared. In one of the locations searched, specifically in the Islamic worship place at Maçanet street, where most of the arrests took place, materials likely to be used in the manufacture of explosive devices appeared again, inside two other bags hidden on a loft, and were essentially identical as well as complementary to those other items found in the garbage container on 17 January. One of these bags contained steel balls and nearly 800 grams of gun pellets, both probably intended as shrapnel. In what became another key piece of criminal evidence for the case ‐‐in addition to the testimony of the protected witness and all the accumulated circumstantial facts‐‐, eighteen grams of a white substance discovered in the second bag were analyzed, and scientific experts from the GC concluded it was “a mixture of nitrocellulose and potassium perchlorate”, commonly employed to manufacture certain industrial explosives and apparently extracted from commercial pyrotechnics. The amount found in the bag would not have been enough to stage a major attack, but would certainly serve for experimental and training purposes. Spanish security officials believe that hidden explosives were not found because the counter‐terrorism operation had to be brought forward, prompted by information from the protected witness, who was notified by another cell member, namely Shaib Iqbal, that a call he made to his wife on January 17 was to be his last to her, and thus understood, contrary to his initial expectations, that the suicide attacks were to happen immediately. Unwilling to sacrifice himself, that is when he managed to alert by phone his French contact asking for help. However, as an alternative hypothesis would suggest, the cell might have been waiting to receive the amount of substance needed to prepare the explosive devices. Actually, when F‐1 received instructions to travel to Barcelona, he was told that should expect to remain in the city for two or three months. The protected witness F‐1 declared that he was informed on that same day, 17 January, of the specifics of the terrorist action being planned in Barcelona, that Imran Cheema was to be his companion in executing a suicide attack on the metro, both of them carrying the explosives in bags or backpacks, and that Mohammed Shoaib and Mehmood Khalid, as well as perhaps two other further unidentified persons, where also designated in pairs to commit a coordinated series of suicide bombings in the underground. It is unclear, from the existing judicial documents, whether the explosive artefacts were to be triggered by remote control by other members of the terrorist cell, using timing devices or both. F‐1 also declared that the metro was the preferred target in Barcelona since, as a prominent member of the group told him personally, “if an explosion takes place in the metro, the emergency services cannot come”. Different stations of the subway were to be chosen by the cell ringleader, Maroof Ahmed Mirza, as the locations for the blasts. He also declared that the terrorist plan included a suicide mission to be eventually followed by at least two others in that same city, and then similar attacks to take place in Germany and then also in France, subsequently perhaps in Belgium, Portugal or even the United Kingdom as well. Actually, the protected witness informed, in his declaration before the GC, that “Abassi was to act in Germany”. According to the Audiencia Nacional tribunal, however, the proved facts do not imply that the terrorists had “a sufficiently concrete and determined plan”. On the one hand, because, as the judges affirm, “the plan comprised an action with explosives in the metro of the city of Barcelona” but at the time of the arrests on 19 January 2008 the defendants “had no more than a small amount of explosive, and of other elements to prepare the devices”. Also, because “neither the day or place had been specified with precision” but “only the decision to place it in the metro”. This is why the panel ruled out convictions for a crime of conspiracy under Spanish law as distinct from “the resolution to commit a crime as understood by the offence of belonging to a terrorist association” clearly acknowledged by the court in the Barcelona bombing‐plot case. This particular decision was firmly contested both by the public prosecutor and by the attorneys who were acting as prosecutors on behalf of the Asociación Catalana de Víctimas de Organizaciones Terroristas (ACVOT, Catalonian Association of Victims of Terrorist Organizations), all of which appealed against the sentence precisely in this respect, even if they agreed with the rest of the judicial veredict. With respect to the financing of the expenses in which incurred the terrorist cell members convicted for the Barcelona plot, including travels and equipment such as a portable computer –which, as F‐1 said during the trial, had to be equipped with a webcam‐‐ purchased in the morning of 18 January by order of the cell ringleader, little is known beyond the limited facts unveiled throughout the GC investigation in Spain. Nevertheless, it is known that the bank account of Sahib Iqbal, one of the two convicted bomb makers, registered on 12 July 2007 an incoming international money transfer for a value of more than Euro 9,000. Moreover, at the time of their arrest, he and other two cell members were carrying over Euro 500 in cash, up to Euro 1,160 in the case of Qadeer Malik, something unusual and unjustified considering their personal and occupational circumstances. Asked about this by a prosecutor during the first session of the trial, on 12 November 2009, the latter replied that money “sometimes accumulated in the pocket” as tips from the delivery of butane gas cylinders, his job, but refused to explain why he had no less than 16 bills of Euro 50 each. F‐1, who in the past had been implicated in moving and delivering funds across Europe to support jihadist terrorism elsewhere, spoke about an individual, not included among the arrested members of the cell, who allegedly was in charge of money transactions and said his ticket to Barcelona was paid with money provided for by those who sent him from France. As already indicated, seven of the 11 men convicted for belonging to the terrorist cell which was preparing the Barcelona metro bomb plot were residents in the city, whereas four others arrived from abroad to take part in the attacks, as also did the person who subsequently became a protected witness, identified as F‐1. Regardless of whether or not the cell’s composition was limited to them, its internal articulation was relatively clear, with a recognized leadership and the specialized assignment of tasks among its integrants. There was a ringleader, Maroof Ahmed Mirza, who frequently acted as Imam of Barcelona’s Tariq ben Ziyad mosque –where he was known for his hate filled sermons and calls for the faithful to join the fighting in Iraq‐‐. From all indications, he was closely assisted by Mohammad Ayub Elahi Bibi and also helped by other cell members such as Roshan Jamal Khan and Mohamed Tarik. At least two individuals, Qadeer Malik and Shaib Iqbal, performed functions as bomb makers. As it seems, Hafeez Ahmed, another notorious cell member, also had expertise in the manufacture of explosive devices. Imram Cheema, Mohammed Shoaib, Mehmooh Khalid and Aqueel Ur Rahmnan Abassi were all designated suicide bombers, the same as F‐1. As it has also been mentioned, all 11 convicted individuals are from South Asia, 10 of them born in Pakistan and one more in India. Nine of the Pakistanis as well as the only Indian were nationals of their respective countries of origin. But one of the Pakistanis, Mohammad Ayub Elahi Bibi, obtained the Spanish citizenship in 2001. Actually, he had been resident in Barcelona for some 33 years when arrested, what is an exceptional case when compared to the other cell members, although it should be noticed that, during his declaration in the trial session of 12 November 2009, he seemed to have serious difficulties in expressing himself in Spanish and had to be assisted by an Urdu translator. Five other convicted members were also living in or around the city as legal immigrants, with either permanent or temporal residence permits, and most if not all of them had arrived in their host country, Spain, between 1996 and 2007. These included Maroof Ahmed Mirza himself, Mohamed Tarik, Qadeer Malik, Shaib Iqbal and Hafeez Ahmed. Therefore, a total of six out the 11 individuals convicted in this terrorism case were already legal residents in Spain by January 2008. More than half of the 43,000 natives of Pakistan registered as living in Spain in 2007 were residents of Barcelona and its metropolitan area ‐‐nearly all foreign immigrants and 87% of them males‐‐, and some 5,000 inhabited the old Raval quarter, where the terrorist cell was constituted. Actually, in September 2004 there was already an antiterrorist operation underway in Barcelona, this time conducted by the Mossos d’Esquadra –the Catalan autonomous police force‐‐, in which 10 other Pakistani immigrants of Punjabi origin who arrived in Spain during the 1990s‐‐ were arrested and prosecuted, although only five of them received final condemnatory sentences, dated May 2007, at the Audiencia Nacional. As it was proven and reproduced in the court veredict, those convicted sent money, partly acquired as a result of illicit drug trafficking, through the hawala system, between the Spring and Sumner months of 2004, to several individuals linked to jihadist organizations and networks, including prominent Al Qaeda members in Pakistan such as Naeem Noor Khan, Ahmed Khalfan Giliani and Amjad Farooqui, as well as to the man known as Mohamed the Egyptian, then residing in Italy, who was involved in the Madrid train bombings of 11 March 2004. Contrary to what was divulgated in some news media, none of those arrested for the January 2008 Barcelona foiled attacks had been among the ones arrested in the September 2004 counterterrorism operation in that same city. Although it is true that the most prominent detainees among the latter used to attend the Tareq ben Ziyad mosque, the same worship place of the Raval where it is known that cell members involved in the former plot gathered. But the remaining five of those convicted for the January 2008 thwarted suicide attack in Barcelona, including the four designated suicide bombers, arrived in Spain and in the city at some point within the four months before they were arrested as a result of the joint counterterrorism operation launched in the city by the Centro Nacional de Inteligencia and the Guardia Civil. Roshan Jamal Khan apparently did so in September 2007 on a direct flight from Pakistan; Mehmooh Khalid in October of this same year, from Pakistan via Sweden; Mohammed Shoaib in November, from Pakistan via Germany; Imram Cheema in December 2007 from, according to his own testimony in this case, Portugal; and Aqueel Ur Rahmnan Abassi as late as 9 January 2008 from The Netherlands, where he had a student visa granted the previous year, even if he was not really engaged in his presumed scholarly activities at the Avans Hogeschool in Breda. As already mentioned, the protected witness, who shortly upon his arrival in Barcelona knew that he was not only to participate in an attack with explosives but to become a suicide bomber as well, travelled from France by train on 16 January. Needless to say, all these were reasonably interpreted as suspicious moves in themselves, even more so because the individual whom both the CNI and the GC consider from the beginning to have headed the subgroup commissioned with explosives and explosive devices, namely Hafeez Ahmed, had returned to Barcelona from a five‐month stay in Pakistan, exactly between March and August 2007, weeks before the others who came from abroad to join the cell started to reach the main city and administrative capital of the Catalonian autonomous region. Perhaps it is not all that irrelevant to mention that this same person reacted fiercely to his arrest and openly threatened the agent who arrested him, loudly saying: “in my country I have killed many policemen like you”. Moreover, the two men who made the arrangements to prepare the explosive devices, Qadeer Malik and Shaib Iqbal, coincided in Pakistan in the Fall of 2007. Previously, the cell’s ringleader, Maroof Ahmed Mirza, had also spent three to four months in that country, exactly between November 2006 and February 2007. Unsurprisingly, since terrorism is a predominantly male phenomenon and this generalization seems to be all the more evident when it comes to individuals involved in the Islamist variety of that form of violence, all of those convicted in relation to the suicide bomb plot being prepared in Barcelona are males. They were aged from 25 to 63 at the time on their arrest in January 2008. Although their average age was almost 36 at the time of the arrests, five of them were then between 25 and 29 —including the four individuals designated as suicide bombers whose identity is known to us— and a total of nine were between 25 and 40. Only two, aged 50 and 63 respectively when arrested, were older. Six of the 11 men convicted in this case were single, and these include the four individuals ready to act as suicide bombers. But four other were married at the time of their arrest. Among the later, three even had children. The unusually older member of the Barcelona terrorist cell, precisely the man who lived in the city for over three decades, is a widower with descendants, including several grandsons. Diverse as to their educational background, one of them was illiterate, three had attended only primary school in Pakistan, two more had some secondary schooling –which is not compulsory in their country–, one more of those 11 convicted underwent madrassa and formal Islamic religious instruction –actually the ringleader, who apparently has the title of Maulana and as such was referred to by the other cell members–, and, significantly, the remaining four had reached higher, university‐level education –even if this is not to necessarily mean they ever completed the requirements for a college degree‐‐, including the man from India. Incidentally, this latter presented himself as an occasional tradesman, although this claim was not properly substantiated during the judicial process. The cell ringleader worked as an Imam and was also endowed with teaching the Quran to children of Muslim immigrants in Barcelona. The oldest among them owned a small bakery shop after labouring as an assistant cooker for many years, but a majority of those convicted were performing unskilled jobs as construction workers, butane‐gas‐cylinder deliverers and cleaners. Unfortunately, very little is known with respect to the actual occupations of the four individuals who had accepted to become suicidal terrorists, except for one who was then registered as an international business management student in The Netherlands. Interestingly, eight of the 10 individuals of Pakistani origin who have been convicted for terrorist offenses as a result of the foiled bombing plot in Barcelona were born in major cities of the Punjab province such as Gujranwala, Rawalpindi, Jhelum and Multan, including also a native of Islamabad, the country’s capital. More than half of Pakistan’s population of approximately 750 million is in this restive province, where the radical deobandi view of Islam proliferates and, favoured by these cultural preconditions and stimulated by certain sectors of the national armed forces and intelligence establishment, a number of jihadist terrorist outfits have been formed since at least the 1990s and are based at present. Some of these radical groups, associated to Al Qaeda are currently active not only on the other side of the border in Kashmiri territories and the rest of India but on Pakistani soil as well. The native localities of the two other convicted individuals of Pakistani origin are the not too distant Kohat, in Khyber Pakhtunkhwa, formerly known as North Western Frontier Province (NWFP), and the major southern harbour metropolis of Karachi, respectively. The Indian citizen happens to be a native of Mumbai. The cell constituted an ideologically‐cohered collective, on the basis of its members’ rigorist Islamic beliefs. During trial, 10 of the 11 defendants exhibited rather thick and long beards, an external sign of such ideas. Indeed, all of those indicted consider themselves to be Sunni Muslims and, according to what they declared to the police and to the judges, are either members of –or were closely related to– the Muslim missionary fundamentalist movement Tablighi Jamaat. However, this particular adscription should be taken with some caution, since the protected witness, in his own testimony, indicated that when in Paris he received instructions to travel to Barcelona to the effect that if necessary he should say he was travelling only for the Tablighi movement, a religious sect considerably expanded across Europe.On the other hand, at least two of the convicted were known for his active Tablighi practices or frequenting Barcelona’s Tareq ben Ziyad mosque –named after a historical figure who led the Arab and Berber warriors that in 711 crossed what is now called the Gibraltar straits, initiating more than seven centuries of Muslim dominion over most of the Iberian Peninsula‐‐, where Tabligh meetings were not unsual. Additionally, copies of a book authored by Muhammad Zakariya, considered main ideologue of the Tablighi movement were found in one of the domiciles searched during the counterterrorism operation by the GC, though next to a commentary of the Quran by Abul Ala Maududi, a radical Islamist of Pakistani origin whose writings became a constitutive element of the violent global jihadism doctrine promoted by Al Qaeda. Inside the Tariq ben Ziyad mosque, the GC also found politicized taped sermons by, among others, Abd al Hamid Kishk. This Egyptian preacher has been praised more than once by Ayman al Zawahiri, Al Qaeda’s second in command to Osama bin Laden. Both in his statement before the GC on 17 June 2008, at the request of the central investigative judge on 21 June, and during the trial session on 16 November 2009, the protected witness said that, over the three years immediately before the January 2008 events in Barcelona, he became involved with an organization which attracted him in France, through a group of Pakistanis also residing in that Western European nation. For a year and a half, therefore between the early 2005 and middle 2006 approximately, the organization often charged him and a few other companions with collecting and moving money across cities such as Brussels, Amsterdam and above all Brescia. In this northern Italian locality, an Islamic place of worship was the usual meeting point with an individual born in the tribal areas of Pakistan, presumably linked to Al Qaeda, and his Moroccan assistant. Allegedly, both of them were transferring funds to final destinations in Pakistan, Iraq and even Algeria, including among other likely recipients the terrorist group Lashkar e Toiba, a jihadist entity related with Al Qaeda and based in the first of these three countries. F‐1 also consistently reiterated, in different formal statements before police and judicial authorities in Spain, that over the year and a half immediately preceding January 2008, that is between approximately the middle of 2006 and the end of 2007, the same organization ordered him to come and go for training on the use of weapons and bomb making in different facilities located in the Waziristan region of north‐western Pakistan as well as in the adjacent frontier territories of Afghanistan. While at a training center there, the protected witness personally met the new defunct former operational commander of the Pakistani Taliban, Baitullah Mehsud, among other prominent militant figures, since, according to his own oral testimony during the trial, exactly on 16 November 2008, the organization he belonged to was “working under the instructions of Baitullah Mehsud”, at least with respect to activities in which F‐1 was involved. During his first declaration before the GC on 22 January 2008, the protected witness described the Barcelona terrorist cell members as related to the Pakistani Taliban leader Baitullah Mehsud and to Al Qaeda. In a subsequent declaration in the presence of the investigative judge at the Audiencia Nacional, F‐1 indirectly alluded to his own organization as Al Qaeda. But it was during the trial, when explicitly asked by the public prosecutor about the name of the organization he was time and again talking about, that he clearly and concisely replied: “Al Qaeda”. Actually, Baitullah Mehsud took charge as operational commander of the Taliban militants in the South Waziristan territories dominated by Mehsud tribes since around the middle of 2004. He had become particularly prominent earlier in the year, organizing his fellow tribesmen against the Pakistani government, after troops launched their first full‐scale military operation in areas of the Agency populated by the Wazir tribes, targeting mainly Al Qaeda members and foreigners belonging to its affiliated groups who had taken refuge there as from late 2001, to escape the post‐9/11 United States led military intervention in Afghanistan. Al Qaeda militants found then shelter in the Mehsud areas. Shortly after the government signed an agreement with the Mehsud tribes in February 2005, Baitullah Mehsud violated its terms by supporting a Talibanization process in the Agency and enforcing an extremist version of Islamic law, before establishing a parallel administration as from May. Al Qaeda, directly or through associated groups, such as the local Pakistani Taliban, trained in facilities there, as well as in other areas of the Federally Administered Tribal Areas (FATA) and Khyber Pakhtunkhwa ‐‐the formerly NWFP‐ individuals of Pakistani origin living both in their homeland as well as in the West. Moreover, Baitullah Mehsud became the overall leader of Therik e Taliban Pakistan (TTP) when this entity was created in December 2007 as a conglomerate of nearly 40 previously‐existing local militant groups and factions operating in the seven Agencies within Pakistan’s FATA and in several districts of the former NWFP. TTP, a force of in between 30,000 and 40,000 men, organizationally distinct from the Afghan Taliban but whose leaders pledged allegiance to Mullah Omar, emerged as the most dominant Al Qaeda partner in these territories, and Baitullah Mehsud expressed “utmost love and respect” for Osama bin Laden and Ayman al Zawahiri. It was precisely at that time, end of 2007, that the protected witness was ordered back from Waziristan to France, where he had to await further instructions from his organization. The instructions, more specifically the order to travel from Paris to Barcelona and join other people with the purpose of carrying out attacks there or after perhaps in other European cities, came very soon, early in January 2008. Therefore, F‐1, despite his asserted membership of Al Qaeda, said he had been under the command of Baitullah Mehsud first when the latter was acting as operational chief of the Taliban militants in South Waziristan, and apparently, as from late 2007, in his position as head of the tribal militant conglomerate TTP. In this respect, F‐1’s testimony and the Barcelona plot connection to both Baitullah Mehsud and TTP were corroborated in the months following the arrests in the Spanish city. In a video interview recorded on 1 August 2008 by a collaborator of NEFA Foundation, Maulvi Omar, then TTP’s top official spokesman and member of its central shura or council, claimed that the organization was responsible for the foiled suicide bombing plot in Barcelona in January. When asked whether the TTP could ever carry out an attack against the West, Omar replied: “The one in Barcelona was conducted by twelve of our men. They were under pledge to Baitullah Mehsud and TTP has already claimed responsibility, because of Spain’s war involvement with its military presence in Afghanistan”. When he said that responsibility for the plot had already claimed he probably meant that, in February 2008, during a difficult conversation by satellite phone with a journalist, he himself had acknowledged that “we sent them, and we will do de same with other countries of the Alliance” –meaning in Afgahnistan‐‐, that TTP had provided training in Pakistan’s tribal areas to individuals involved in the thwarted attacks in Barcelona, although, as he pointed, “they had their own plans” with respect to target selection and the execution of the attacks. These statements by Maulvi Omar ‐‐who was to be captured by Pakistani security forces on August 2009 in Mohmand‐‐ are in turn consistent with a reference made by the protected witness during his 22 January 2008 declaration before the GC. According to him, on the basis of what he heard from a prominent member of the Barcelona cell, following a first attack in this city, “Al Qaeda would make some demands through the emir Baitullah Mehsud”. At second and even a third explosion was to happen in Spain if these demands were not met, before launching further attacks in Germany, France, perhaps Portugal and even the United Kingdom as well. F‐1 stated again during the trial, on 16 November 2009: “After the explosion Baitullah Mehsud was going to announce Al Qaeda’s demands and if they were not met there was to be a second explosion and afterwards more in Germany, Portugal and France”. All the European countries mentioned contribute troops to the International Security Assistance Force (ISAF) in support of the Government of the Islamic Republic of Afghanistan. It is worth remembering at this point that, on 29 November 2007, the Islamist website Al‐Ekhlaas posted an audio message from Osama bin Laden, produced by Al Qaeda’s media branch Al Sahab, in which he called upon Europeans to withdraw their forces from Afghanistan and threatened to continue taking revenge and defeat them. Interestingly when thinking about the strategy behind the Barcelona bomb plot, the counterterrorism operation in this city took place less than two months before national elections in Spain, scheduled on 9 March 2008. Therefore, F‐1 and perhaps other members of the Barcelona bombing plot cell such as its ringleader, if not the terrorist cell as a whole, might had been ascribed to Al Qaeda –in the case of the protected witness, his recruitment took place not in a South Asian country but in France–. At the same time there were strong links to Al Qaeda associated local jihadist groups in South Waziristan and explicitly to Therik e Taliban Pakistan once this alliance was formed in December 2007. Under the operational command of Baitullah Mehsud, some of the members of the Barcelona cell, as F‐1 himself, were likely to have undergone training in infrastructures located in that Agency within the FATA and across the border in Afghanistan as well. Also, the overall direction for the attacks planned in Spain and possibly elsewhere in Western Europe as from January 2008 was provided by the same leader, though following the strategic guidelines set forward by Osama bin Laden as emir of Al Qaeda, most of whose senior members and activists were then precisely based in Pakistani tribal territories dominated by the Mehsuds, under the protection of Mehsud militant groups and commanders. The fact that eight of the 11 Pakistanis convicted in the Barcelona plot case come from Punjab and not from these tribal areas should not come as a surprise. On the one hand, it is known that, by 2007, in FATA as well as in the administrative unit known until recently as North West Frontier Province, the jihadist organizations there settled, including the local militant groups and Al Qaeda, were mobilizing Punjabis. On the other hand, the Pakistani Taliban have allies across Pakistan and particularly from the Punjab province, where various militant Al Qaeda‐related jihadist groups, such as Lashkar e Jangvi (LeJ) or Jaish e Mohammed (JeM), established deep roots during the past two or three decades, but also have members or former members based in the tribal areas now working closely with the TTP. Interestingly, As Sahab, Al Qaeda’s propaganda wing, commonly features Pakistani Taliban leaders, as precisely in the eloquent eulogy of Baitullah Mehsud by Ayman al Zawahiri –Al Qaeda’s second in command—which appeared on 28 September 2009, and also releases videos on militants operating in Punjab. As it seems, the individual and collective actors behind the January 2008 Barcelona bomb plot denote an apparently intriguing combination. The protected witness, one of the suicide bombers designated by the terrorist cell ringleader, made it clear to both police and judges in Spain that the organization he, as well as those who sent him from France, belonged to was Al Qaeda. But, also according to his declarations before these authorities, as transcribed in the official criminal proceedings of the case reviewed throughout this working paper, he received training in the Waziristan region of Pakistan under the instructions of the now deceased Pakistani Taliban commander Baitullah Mehsud. Moreover, Therik e Taliban Pakistan (TTP), which this latter headed since its inception in late 2007, claimed responsibility for the planned attacks in the Spanish city. However, TTP is a jihadist alliance made out of basically ethnic Pashtu militant groups based in the tribal areas and nearby lands northwest of Pakistan, whereas most of those convicted for integrating the terrorist cell formed in the Raval quarter of Barcelona and possessing explosive substances, even if native Pakistanis, are from the heartland province of Punjab. This combination may well be indicative of relevant developments other than the plausible Al Qaeda or TTP recruiting of Punjabis and other Pakistanis living in their own country or abroad, for instance in the West. On the one hand, it may be considered an expression of the increasing operational limitations faced by Al Qaeda as from 2002 and its reliance, often as a result of mutually beneficial arrangements, on allies such as, specifically, the Pakistani Taliban. 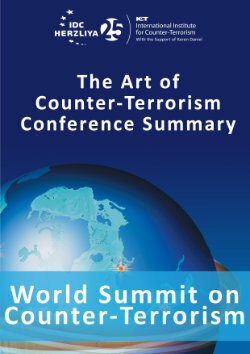 That is to say, reliance on the same militant groups from which Al Qaeda receives protection and support in the tribal areas they control alongside the porous border with Afghanistan, in order to manage training activities in 17 the zone and even intervene in conducting acts of terrorism abroad, aiming also at Western societies in general and European nations in particular, as the Barcelona case shows. On the other hand, the same combination can additionally be seen as an early manifestation of multiple overlapping linkages between the Pakistani Taliban, and also the Afghan Taliban and other militant groups based in northwest Pakistan, and current as well as former elements of one or more of banned jihadist organizations traditionally established in the Punjab, including Al Qaeda associates among them. An early manifestation of what later, as from the Spring of 2009 approximately, became widely referred to as the Punjabi Taliban and, more appropriately, the Punjabi Taliban network. As a whole, the January 2008 Suicide Bomb Plot in Barcelona would reflect a new composite terrorist threat from Pakistan. Thus, the foiled January 2008 plot against the metro in Barcelona evidenced both the polymorphous character of post‐9/11 global terrorism and the composite nature of the main threat it seems to pose in the West. The thwarted attacks suggest a mixture of foreign extremists coming from the country which then as now occupies a central locus in the cartography of global terrorism, that is to say Pakistan, and first‐generation immigrants in the West –who nevertheless may travel often and for rather long periods of time to their homeland‐‐ turned into extremists. This second factor, distinctive with respect to successful and foiled attacks involving individuals who belonged to second and third generation descendents of immigrants, such as in the United Kingdom, is consistent with the relatively recent settling of Muslim communities in Spain. Moreover, the fact that all but one of those convicted are Pakistanis and that a Pakistani entity affiliated with Al Qaeda, that is to say TTP, claimed responsibility, is best understood with respect to the unusually differential concentration of people from Pakistan in Barcelona, a circumstance unparalleled in the country or in any other major Western European cities outside the United Kingdom. The case of Barcelona also draws attention to the disturbing role played by the Tablighi missionary movement in allowing the violent radicalization of adherents and the use of its meetings and sponsored travel between European nations and South Asian countries for recruitment and training purposes by terrorist organizations and the cross‐border circulation of jihadist terrorists. The Barcelona plot, as shown, was intended to successively detonate explosive devices against soft targets likely to ensure a high lethality among civilians, such as the mass transit system, and the suicidal character of the attacks that were being prepared seems to be clear from the judicial proceedings. Its underlying strategy was to force a withdrawal of European troops in general and Spanish soldiers in particular from Afghanistan. Thus, once again, jihadist terrorism aimed at distancing national governments from their respective public opinions and creating divisions between Western countries, North Atlantic Treaty Organization (NATO) countries more concretely, making up international coalitions such as, on this occasion, the International Security Assistance Force (ISAF). Had the metro attacks in Barcelona not been thwarted on time, thanks to a domestic counterterrorism operation prompted by bilateral intelligence exchanges, a message from Osama bin Laden would be expected to follow, through the appearance of the now defunct Pakistani Taliban commander Baitullah Meshud. A clear hierarchy of leadership can therefore be observed in this foiled episode of global terrorism, from the level of the local cell formed in Barcelona to execute the bombings up to that of Therik e Taliban Pakistan as an articulated entity affiliated to Al Qaeda. * Senior Analyst on International Terrorism at Real Instituto Elcano and Professor of Political Science at Universidad Rey Juan Carlos in Madrid. 1 Dirección General de la Policía y de la Guardia Civil, Jefatura de Información U.C.E. 2 / G.I.E., Sección de Investigación 7ª Zona de Cataluña, Servicio de Información, Atestado 01/2008, pp. 1‐9 and pp. 112‐173; Audiencia Nacional, Juzgado Central de Instrucción no. 2, Sumario 26/2008, Tome II, pp. 333‐341. 2 Sumario 26/2008, Tome I, p. 81. 3 He took a flight to Germany on the morning of the counterterrorism operation. It is believed that this individual ended up in The Netherlands presumably because the attacks in Barcelona did not take place. 4 As required by the legal system in Spain, the formal indictment of all of them was again confirmed on 9 October 2008 by a tribunal dealing with serious criminal offenses and formed by three judges of the Audiencia Nacional unrelated to the proceedings of this case. 5 Audiencia Nacional, Sala de lo Penal, Sección Primera, Sentencia 78/2009, p. 7. 6 Sentencia 78/2009, pp. 7‐8. 7 Sentencia 78/2009, pp. 32‐34. 8 Atestado 01/08, pp. 1‐9; Sumario 26/2008, Tome II, pp. 333‐334. 9 Sumario 26/2008, Tome II, p. 334. 10 Atestado 01/2008, pp. 2‐3 and 691‐693; Sumario 26/2008, Tome II, p. 334; Sentencia 78/2009, p. 9. 11 Atestado 01/2008, p. 730. 12 Atestado 01/2008, pp. 6‐8. 13 Sumario 26/2008, Tome I, pp. 4, 7, 32, 47 y 107. 14 Atestado 01/2008, p. 1. 15 Atestado 01/2008, pp. 60‐106; Sumario 26/2008, Tome I, pp. 4, 7, 32, 47 and 107, and Tome II, pp. 392‐439. 16 In particular, article 2 of Ley Orgánica 19/1994. 18 Atestado 01/2008, pp. 710‐716. Sumario 26/2008, Tome I, pp. 60‐102, Tome II, p. 394, and Tome III, p. 1051‐1052. Sentencia 78/2009, pp. 22‐23. 19 Atestado 01/2008, pp. 8‐9; Sumario 26/2008, Tome III, p. 1051‐1052. 20 Atestado 01/2008, p. 728; Sumario 26/2008, Tome III, pp. 1057 and 1150, and Tome IV, p. 1470; Sentencia 78/2009, p. 9. 21 El Periódico, 27 January 2008, p. 19. 23 Sentencia 78/2009, p. 9. 24 Atestado 01/2008, p. 725; Sumario 26/2008, Tome III, p.1065. 25 Atestado 01/2008, p. 1. 26 Atestado 01/2008, p. 726; Sumario 26/2008, Tome III, p. 1065. 27 Sentencia 78/2009, p. 30. 28 Sentencia 78/2009, p. 30. 29 Sentencia 78/2009, p. 30. 30 Sentencia 78/2009, p. 30. 31 In this as in all other facets of the case, the Pakistani security authorities were markedly uncollaborative, as I deduced from personal interviews, first with a liaison officer acquaintance with Pakistani police cooperation, held in Madrid on 30 November 2009, and then with two senior officials from the GC in charge of investigating the Barcelona bomb plot, also in Madrid on 28 May 2010. 32 Atestado 01/2008, p. 774; Sumario 26/2008, Tome III, p. 1115. 34 Atestado 01/2008, p. 726. 35 Sentencia 78/2009, p. 7. 37 Sentencia 78/2009, p. 8. 38 Sumario 26/2008, Tome III, p. 1065. 39 Atestado 01/2008, pp. 210‐689; Sumario 26/2008, Tome II, pp. 545‐855 and Tome III, pp. 858‐1031. 40 Data refers to individuals registered in municipalities, according to the Revisión del Padrón Municipal de 2007, and can be consulted in the website of the Instituto Nacional de Estadística at www.ine.es. On Pakistanis living in Barcelona, see Montserrat Solé y Josep Rodríguez, “Paqustaníes en España: un estudio basado en el colectivo de la ciudad de Barcelona”, Revista CIDOB d’Afers Internacionals, no. 68 (2005), pp. 97‐118; Jordi Moreras, “¿Ravalistán? Islam y configuración comunitaria entre los paquistaníes en Barcelona”, Revista CIDOB d’Afers Internacionals, no. 68 (2005), pp. 97‐118; and Mònica Tolsanas, “Las calles de Barcelona, las casas de Paquistán. Transnacionalismo y generación posmigratoria”, Revista CIDOB d’Afers Internacionals, no. 78 (2007), pp. 33‐56. 41 Aundiencia Nacional, Sala de lo Penal, Sección Primera, Sentencia 39/2007. 42 Sumario 26/2008, pp. 1112‐1114. 43 Aqueel Ur Rahmnan Abassi Aqeel Abassi allegedly started his studies on International Business Management in September 2007 and de‐subscribed in February 2008. I am grateful to Dr Edwin Bakker, from The Netherlands Instituto for International Relations, Cligendael, for providing me access to this information on 7 April 2010. 44 Sumario 26/2008, pp. 1112‐1114. 45 Atestado 01/2008, pp. 162 and 759; Sumario 26/2008, Tome II, p. 496. 46 Sumario 26/2008, pp. 1113; Sentencia 78/2009, p. 8. 47 Sumario 26/2008, p. 1112. 49 Atestado 01/2008, pp. 383‐421; Sumario 26/2008, Tome II, p. 738. 50 Atestado 01/2008, pp. 224‐690. 51 Atestado 01/2008, pp. 224‐690. 52 Atestado 01/2008, pp. 210‐689; Sumario 26/2008, Tome II, pp. 545‐855 and Tome III, pp. 858‐1031. 53 See, for instance, Bruce Riedel, “Pakistan and Terror: The Eye of the Storm”, Annals of the American Academy of Political and Social Sciences no. 618 (2008), pp. 31‐45. 54 Atestado 01/2008, pp. 210‐689; Sumario 26/2008, Tome II, pp. 545‐855 and Tome III, pp. 858‐1031. 55 Sentencia 78/2009, pp. 27‐28. 56 “Los amigos de un terrorista del Raval reviven su fanatización”, El Periódico, 12 February 2008, p. 22. 57 Atestado 01/2008, pp. 752‐755; Sumario 26/2008, Tome III, pp. 1092‐1093. 58 Sumario 26/2008, Tome IV, p. 1472. 59 Sumario 26/2008, Tome III, pp. 1057‐1059 and Tome IV, p. 1472. 60 Atestado 01/2008, pp. 725; also, Sumario 26/2008, Tome IV, p. 1470 and Sentencia 78/2009, p. 19. 61 Sentencia 78/2009, p. 25. 62 Sumario 26/2008, Tome IV, p. 1472. 63 Muhammad Amir Rana, “Evolution of Militant Groups in FATA and Adjacent Areas”, in Muhammad Amir Rana, Safdar Sial and Abdul Basit, Dynamics of Taliban Insurgency in FATA, op. cit., pp. 50‐51. 64 Muhammad Amir Rana, “Post‐9/11 Developments and Emergence of Local Taliban Groups”, in Muhammad Amir Rana, Safdar Sial and Abdul Basit, Dynamics of Taliban Insurgency in FATA, op.cit., p. 83. 66 MEMRI, Special Dispatch no. 1830 of 30 January 2008. On 28 September 2009, shortly after Baitullah Mehsud died, Ayman al Zawahiri eulogized him as both as an organizer of Jihadist uprising in Afghanistan and Pakistan as well as a role model for the youth. The transcript of the original Arabic language audio recording is available at www.nefafoundation.org/miscellaneous/FeaturedDocs/nefazawahiri0909.pdf. 68 El Periódico, 11 February 2008, p. 2. On 10 February 2008, the United States Defense Secretary, Robert Gates, during a visit to Europe, linked the Barcelona plot to Baitullah Mehsud and the Pakistani Taliban. 69 Atestado 01/2008, p. 726; also, Sumario 26/2008, Tome III, p. 1065. 70 Atestado 01/2008, pp. 726‐727. 71 MEMRI, Special Dispatch no. 1776 of 30 November 2007. Available at www.memri.org/bin/opener_latest.cgi?ID=SD177607. 72 Hassan Abbas, “Defining the Punjabi Taliban Network”, CTC Sentinel vol. 2, Issue 4 (2009), pp. 1‐4; Katjia Riikonen, “Punjabi Taliban’ and the Sectarian Groups in Pakistan” (University of Bradford, Department of Peace Studies: Pakistan Security Research Unit, Brief no. 55, 2010).